The Persians used the earliest waterbed some 3000 years ago. They slept on warmed goatskin water bags, which were used for carrying water. In 1851, a British physician, Dr. William Hooperback, first devised modern waterbeds. He recognised the benefits of a pressure reduced surface in the treatment of a number of medical conditions and made a basic water filled mattress from rubber. In the 60’s an American, Charles Hall, refined the construction by using hi-tech materials and sophisticated production techniques into the PVC based mattresses, which are now familiar today. The new generation of waterbeds are very different to the old bladders with water. Waterbeds became mainstream 50 years ago. The bladder with water that Charles Hall designed in the 60’s has long been replaced. The new generation of waterbeds feature superior comfort and minimal motion. Our Softsider waterbeds look like a regular innerspring mattress and have exactly the same dimensions. Putting on fitted sheets is an absolute breeze. The different hardness settings that our Softsider waterbeds have, offers unparalleled and magical comfort that only sleeping on water can provide. There is only one way to compare and contrast the different comfort levels available to you, and that is to come into our Chermside showroom and feel for yourself. There are quite a few regular comments that we keep hearing from our customers over and over. The waterbed mattress moulds to your own body shape supporting your back evenly. How comfortable are you when you are floating in the swimming pool for example? With no pressure points you can sleep in one position for much longer periods and you sleep more peacefully. Don’t forget a waterbed moulds to your body unlike other beds where you mould to it. Probably the most frequent reason for the purchase of a waterbed is to relieve back pain. Waterbeds support your body evenly, so great relief from pain can often be achieved. Waterbeds are thermostatically controlled to maintain a constant temperature. The therapeutic warmth is an added bonus. There is no better feeling than jumping into a warm waterbed on a cold winter’s night. During summer, turn the heater down to keep your cool over those hot summer nights. The new carbon heaters we use, cost little more than an electric blanket to run. Waterbeds became mainstream 50 years ago. The bladder with water that Charles Hall designed in the 60’s has long been replaced. The new generation of waterbeds feature superior comfort and minimal motion. They are available in firm/hard If thats what you like, but the old style ‘rock ’n’ roll’ full float bladders are still around if that is your preferred comfort, and there are many, many possibilities in between the two. There has been many advancements in the last 50 years and we implore you to come in and compare as many beds as possible. A waterbed mattress does not lose its shape over time. Sleeping on a waterbed offers the best support of any bed on the market and are so durable that the bed will feel exactly the same 5 years down the track as to the day you bought it, whereas other mattresses will sag and comfort and support will decline over a relatively short space of time. Waterbeds also offer ‘contour pressure relief’ and offer ‘all over even support’. Water does not collapse over time and if you can come into our showroom and find your perfect mattress, you can be assured that it will never go out of shape. We can also customise the mattress for your individual needs. We can add support in strategic areas inside the mattress. We can strengthen areas like the lumbar region, and we can also make inbuilt supports for the head, feet and anywhere in between. Or a combination of all. If you have any special needs, then speak to us over the phone, or in store and we can go through all the options that may be available to you. Full body and back support with little to no pressure points. The dynamics of sleeping on a regular innerspring mattress mean that there is significant pressure points between your body and the bed. Most notably in the shoulders, back and pelvis. With fewer pressure points, there is less tossing and turning which results in a more restful and quality sleep. We when we sleep well we wake up refreshed and ready to face the new day. Many asthma sufferers prefer the hygienic qualities the waterbeds offer. The washable covers and wipe over mattresses greatly benefit those with asthma and allergies. Waterbeds are wonderful for people who suffer from asthma, as having a hygienic bed to sleep on free from dustmites and dust helps improve respiratory ailments. One of the biggest benefits of waterbeds is the wonderful temperature control. There is nothing better than jumping into a warm waterbed on a cold winters nights. Conversely, in summer, there is nothing better than jumping into a cooler bed to help soothe the harsh summers we have in Australia. Most people are aware of the importance of eating sensibly and getting regular exercise for general good health. And yet few of us give much thought to our quality of sleep. We believe that sleep, or the lack of it, has a huge effect on health and our ability to function well through the day. The more we have researched into sleep and sleep related problems, the more we are convinced that a modern waterbed offers by far the best option for regular, quality sleep. Most people place a low priority on their beds. It is only when their health or work suffers that they look to spend more on a ‘good quality bed’. Those who fail to find the right bed resign themselves to being poor sleepers. The people who do come into our showroom are blown away when they see all the different options that are available. Nearly all of those customers say that they ‘would never go back to an ordinary bed’. •If your bed could be made to fit you perfectly so that whatever your shape, size or weight, it moulded like a glove. •If magically you could lose the pressure points from your hips and shoulders (but still have good support to your lower back) enabling you to stay in your most comfortable sleeping position without tossing and turning. •If you could maintain your ideal sleeping temperature summer or winter. •If you could sleep on an aired, clean bed, free of dust, dust mites and “body fluids”. •And finally if the bed stayed clean, comfortable and supportive year after year so that your quality of sleep remained unchanged even after 10 years. You have just imagined a modern waterbed. •The low pressure points, all over even support, and comfortable sleeping temperature benefit most medical conditions. •Waterbeds allow muscles to relax, improve blood circulation, alleviating stiffness to the joints and back. Perfect for arthritis and rheumatism sufferers and those with general back pain. •Only water moulds to your shape without pressure points, giving even support and comfort to the entire body whatever your size or shape. •The washable covers and wipe over mattresses greatly benefit those with asthma and allergies. Waterbeds are wonderful for people who suffer from asthma, as having a hygienic bed to sleep on free from dustmites and dust helps improve respiratory ailments. •Getting into a bed that is immediately comfortable and at the right temperature ensures that you get off to sleep quickly; and with far less turning in bed, you get a more even nights sleep. Good news for insomniacs. •Many osteopaths, chiropractors and physiotherapists who have a working knowledge of waterbeds, recommend waterbeds, (especially those trained abroad where waterbeds are commonplace). •Whether sleep is a problem or you are just looking for the best sleep system, try one of our beds, You will know in the first few seconds that it is the bed for you. And if you buy, you will never want to sleep on anything else! Can I put a waterbed into my existing frame? Generally yes, if you have a bed frame that will fit a conventional innerspring/latex mattress then it will fit a soft-sided waterbed. It is quite normal to set them up within brass frames, four posters, sleigh beds etc. Because of the weight of a waterbed mattress, sometimes extra support is needed before the mattress is installed. This is generally very minor. There are situations where a waterbed cannot fit within a standard or custom bed frame but this is rare. Dreamlover has the workshop and decades of experience to make this happen. You could also add a drawer base at the same time. When one lies on a conventional bed for maybe ten minutes or so in a showroom, you may find that you like it. But a little down the track you may not be as comfortable as you originally hoped. If you don’t like your new bed in a weeks time, or a perhaps a month down the track as many of our customers have said when they went back to waterbeds, what are you options? If you purchase a $2000 bed for example what can you do? Buy a $3000 bed perhaps? With our beds a solution is simple and cost effective. Change the mattress/bladder for $100-$250 or so. One part of the bed is changed, but the rest of the bed remains the same. You will have your new comfort level that you need for the perfect nights sleep. Our service people can also do the change over for you. Another fine tuning option is to alter water levels just a little to make it harder or softer. By buying one of our softsider waterbeds, you can use your existing linen and fitted sheets. Our beds are exactly the same size and dimensions as any other innerspring bed on the market. The older style timber beds could be a real pain when it came to fitting sheets. We now have timber frame waterbeds that can take regular fitted sheets too. It is now easier to tuck in those sheets in every day. It is easier to tuck those sheets in on a softsider waterbed than most innerspring mattresses. We have had many years of firm orthopaedic type beds, and yet more people than ever still suffer bad backs. We cannot relax and be comfortable on a hard surface. Nor should we sleep on a soft bed that does not give good support. Springs and foam are compressed particularly by the shoulders and hips. The firmer the mattress the more you toss and turn to ease the pressure points. Water simply moves out of the way giving a more even pressure along the body and giving extra support to the lower back. A waterbed provides the best support your back can get. When you lie on a floatation mattress the water displaces and contours to whatever your shape may be. Whether you are inclined to sleep towards the foot end or head end, across the bed, support is even and consistent. The gentle support and warmth of the water moulds into every back curvature. Waterbeds also speed up relaxation, soothe sore muscles, and relieve tension in that area which can so often suffer from over working and stress. And the added benefit of a warm bed in winter instantly adds an extra level of comfort to soothe sore backs. The bed does not sag or distort, even after a decade later it remains the same. Waterbeds automatically and immediately adjusts to provide total body support. The firmness can be adjusted simply by adding or removing water. It also allows you to fully relax and keep a comfortable sleeping position throughout the whole night. Some alternative bedding manufacturers have set built in variable supports for different parts of the body. If you are taller, shorter, larger or slim than the average the support will be incorrect for your body. Waterbeds are currently being used in hospitals throughout Australia, the United States and Europe. Dust mites, well known as a cause of allergies, and dead skin permeates foam or spring and latex mattresses. The vinyl water mattress is impervious to dust mites so allergy and asthma sufferers can sleep peacefully. They are generally the most sanitary surface one can sleep on. Lambs wool tops can be unzipped and washed as per wool cycle or dry cleaned. Quilted tops and Summer Tops can be dry cleaned. HOT !!!! Sweating in your bed on a hot night. Not with a waterbed. A waterbed will cool you and you will get a restful sleep. Dreamlover has even developed special summer mattress toppers to increase cooling effects even more. COLD !!!! Raining, westerlies and cold. Get into a lovely warm waterbed and get a restful sleep. Dreamlover has the standard lambswool cover and some lovely thick quilted tops to nestle in. Dare you to get out of your little piece of heaven in the cold of the morning. On a bitterly cold night in the middle of winter, there is nothing better on this earth than jumping into a nice warm waterbed. You will instantly feel better. No you should not if the temperature on the thermostat/heater is set correctly. You should never sleep against the actual vinyl mattress. Soft sided waterbeds have their own quilted, lambswool (or similar) top cover and you should always use a quality mattress protector with a hard sided frame. Keep the temperature on your waterbed set at your skin temperature. The normal comfort level is approximately 28-30 degrees centigrade. This even, constant temperature helps you to get a better nights rest, something which is more difficult if you are too hot or too cold in bed. Will I sleep better on a waterbed? Yes, and when you sleep better you feel better. A waterbed gently cradles the body’s natural curves and ensures correct alignment of the spinal column allowing the spinal muscles to relax completely. Your body is not interrupted throughout the night and you will stay in a deeper sleep longer. Many have reported waking up in the same position as they went to sleep. Waterbeds only seem soft because they do not create pressure points as a hard sleeping surface will. Pressure points impair blood circulation and cause tossing and turning. A waterbed distributes this pressure evenly across your whole body, so that every position feels comfortable. 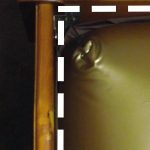 Changing the firmness of the waterbed mattress? By adding or removing a little water, a waterbed mattresses can be made firmer or softer. Over filling or under filling a waterbed mattress can lead to bad support. Correct fill level and precise temperature control provide a superior back support system. 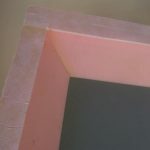 The normal fill for a timber frame waterbed bladder is flat with a small curve downward, 40-50mm from the edge. Only when you need to move the bed. A water conditioner is added every 6 months to prevent the growth of algae or bacteria, stop air bubbles forming inside the mattress, and to help care for the vinyl. With regular care the same mattress of water will go on supporting you for years. Unlike many foams, water does not collapse so this is a reliable system from day to day and year to year. By adding water and taking some water out you can also fine tune the firmness of the waterbed bladder. Waterbed conditioner is a very important part of maintaining the waterbed bladder, like oil and water in your car. Helps stop air bubbles from forming inside the mattress. Mermaid multi purpose waterbed conditioner and shock treatment is specially formulated to treat and condition mattress water, fibre and foam. Also lubricates and conditions vinyl interior for maximum long life. Then use Mermaid Waterbed Treatment (6 month solution) every 6 months. Try to align with EOFY and New Year for easy remembering. Caring for your waterbed mattress? A cover for your waterbed mattress is recommended. Dreamlover manufacture and supply quilted, lambswool and summer underlays. There are many different types, but washable is preferred. Dreamlover waterbeds can advise you on the many styles available. The wool is used to protect the mattress from body oils and perspiration, which can affect the plasticizers used to construct the mattress. After a period, if left, you may find a film of dust on the top and sides of your mattress. This will affect the life of the mattress. The dust, which is actually skin particles and body hair, is normally absorbed into the padding of an innerspring mattress, which in turn gives a safe haven for dust mites to multiply. On a waterbed, this dust is very simply removed by a bi-monthly wipe down using mild hand soap and warm water. The use of a proprietary vinyl cleaner will extend the life of your mattress even longer. In addition, every six months a waterbed conditioner is added to the mattress. This is intended to inhibit the growth of bacteria as well as conditioning the vinyl internally, thus keeping the water stable and maximising the life of your mattress. Plasticizers for plastics, is a additive that gives hard plastics like PVC the desired flexibility and durability. They are often based on esters of polycarboxylic acids with linear or branched aliphatic alcohols of moderate chain length. Plasticizers work by embedding themselves between the chains of polymers, spacing them apart (increasing of the “free volume”), and thus significantly lowering the glass transition for the plastic and making it softer. For plastics such as PVC, the more plasticiser added, the lower its cold flex temperature will be. This means that it will be more flexible, though its strength and hardness will decrease as a result of it. Some plasticizers evaporate and tend to concentrate in an enclosed space; the “new car smell” is caused mostly by plasticizers evaporating from the car interior. Solvents and some unsuitable cleaners can speed up the process, leading to brittleness. PVC liner production involves mixing or blending PVC resin, stabilizers, plasticizers and pigments. The plasticizer softens the polymer to make it pliable to aid in Calendering (manufacturing) process and provide a flexible sheet which is easy to seam in both factory and field conditions by a variety of methods. When plasticizer is blended with the PVC, a portion of it forms an intimate bond with the PVC, while the remainder is captured in the polymer matrix. The rate of loss of plasticizer depends on plasticizer type, temperature, sheet thickness, environment and exposure time. The actual mechanism behind this loss is migration of plasticizer from the surface membrane. Plasticizers can migrate from PVC geomembranes over time because of contact with air, liquid and an absorbent solid material. Plasticizer loss reduces the flexibility of PVC geomembranes and in extreme cases results in noticeable shrinkage. [See photo below] The constant use of bleach in the water will rob the vinyl of plasticizer and then make the fabric brittle followed by cracking, particularly in wear areas. (ie. where you get in and out of bed and corner seams). By adding just household anti-bacterial products to the waterbed water is beneficial to eliminating bacteria and algae but this does not address the loss of the plasticizer. The mattresses above have all shrunk in the corners. This happens when conditioner is not added every 6 months, and the plasticizers are lost over time. WE CANNOT EMPHASISE ENOUGH HOW IMPORTANT IT IS TO ADD CONDITIONER EVERY 6 MONTHS. Something so simple as adding 50ml of conditioner every 6 months WILL prolong the life of your mattress. We see mattresses every day that have not had conditioner applied. A mattress that is over 5 years old and has not had conditioner added every 6 months, will look very different to a mattress that has had proper care. It is also a condition of our warranty that conditioner be applied to mattresses every 6 months. I am heavier than my partner. Will we both be comfortable? Yes. A waterbed supports you equally. If you are particularly heavy you will find a waterbed very comfortable. If there is a great difference between partners, then a twin/duet system could be the solution. The duet system also has the advantages of having a system where one person has a soft side and the other has a harder, or even softer side for example. In a duet system each side is a water chamber of its own so water will not travel to the other side altering the volume of the waterbed bladder on your partners sider. On a side note you can also have individual temperatures as well.We have two king beds in our showroom dedicated to the duet system, from hard, extra firm, firm and medium for you to try. Dreamlover Waterbed World has uniquely developed the Dreamaster system foam cradle for soft sided waterbeds. Among other advantages this foam cradle has the ability to dampen the lighter-heavier partner situation with a one bladder system. The Dreamaster greatly reduces the effects of the lighter partner to sleep a lot higher than the heavier partner. We have four beds in our showoom dedicated to this system for you to try. Mattresses now have the option of differently structured flotation fibre in them to reduce the water motion. A fully stabilised waterbed will not move. Any motion you give to the mattress tends to be gentle and soothing and ceases as soon as you stop moving. If you select a very stable mattress there will be minimal movement at any time – even if your partner moves. Remember the pressure reduced support of a waterbed also minimises the need to toss and turn while you are sleeping. The option of a “duet system” further eliminates any possible movement as each mattress is totally independent of the other. Early waterbeds were simply bags of water with full motion. Over the years baffles and fibre were added to restrict movement. The most popular mattresses today have little or no motion. They simply contour to your body without pressure points, reducing the need to toss and turn, so you tend to move less often on a waterbed. A fully stabilised mattress ensures virtually no motion between partners. A dual mattress guarantees that no motion is transferred between partners. Is your floor strong enough? We have been fitting beds since 1989, many in transportable homes, workers cottages, Queenslanders, units and farmhouses. We have never had a problem. If a floor meets minimum building standards it will easily support a waterbed. If the building is not to council specifications the Aquadream Swag manufactured by Dreamlover is light and portable and comfortable like no other waterbed and very handy for people on the move. The weight of waterbeds is well distributed and the pressure on the floor is less than that of a person in a bath or a freestanding refrigerator. A modern divan waterbed is much lighter than the early framed beds. All waterbeds are supplied with special bases that spread the load evenly over a wide area, making them far lighter. Base and supporting frames in timber frame and soft siders last like any other piece of furniture. A cheap one will not go very far whereas a good one can last for decades. Better materials and advanced construction techniques allow these components to perform for many years with minimal or no maintenance. We still have customers who to this day, who still sleep in a quality waterbed that they purchased in the 70’s and 80’s. Quality is everything. It is recommended that safety liners should be changed when a new bladder is bought. Mattresses and heaters are available as separate components. They can be easily replaced without ever having to buy a complete new bed. 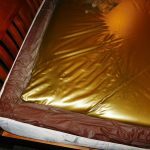 Would an el-cheapo waterbed be reliable? It is very important that the timber frame or softsider cradle / foam bath be structured correctly to contain the mattress without bulging at the sides. 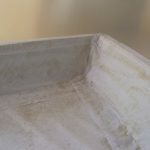 If the frame/foam bath looses its shape, the extra stress on the mattress will cause premature failure. This is the advantage of dealing with a long established firm. To ensure your best interests, we make quality beds that stand the test off time. Dreamlover finds this very important in protecting the waterbed bladder from unneeded stress. El-cheapo foam cradles are a very important part of this. Dreamlover can supply budget, medium and the Dreamlover Deluxe foam cradles, however budget foam cradles normally do not come with insulating foam base that increases power efficiency and reduces electricity consumption. We have all three foam cradles in our showroom for you to evaluate yourself. Also see our section webpage all about foam baths. If a potential customer wants to push prices down then we cannot blame waterbed manufacturers trying to work out cheaper products and that work for short amount of time, but are poor quality and don’t have a long life span. In comparison our Dreamaster 2500 GC (shown below) has a lifetime of over 20 years. A far greater life span than any other suppliers. All that needs to be changed periodically in 7 to 10 years would be the bladder and liner. A very cheap foam bath from our competitor. This is the type of foam bath you get for a low price. Another cheap foam bath that have flooded the market from our competitor. Are waterbeds expensive? What are the ongoing costs? Dreamlover soft sider waterbeds have a insulating foam base and foam sides. Combined with the lambswool or quilted top, the bladder sits in a insulated compartment. This in turn substantially reduces heat loss and therefore the running costs. The heater only comes on to replace the heat lost to the bedroom. When covered a soft sider waterbed losses very little heat. However a little loss of heating however airs the bedding, allowing you to get into a clean aired bed every night. Shock treatment is used the first time a mattress is filled and every time you refill the bed ie when moving. This is followed by adding conditioner every 6 months. A 18 month supply of conditioner costs $25. Waterbeds are very durable. The mattresses/bladders do not give or sag. Over time, the foam bath will start to collapse. This is particularly pertinent when choosing your foam bath in the first place. The very cheap foam baths offered by our competitors will last only a short time before they start to sag because of the weight of the bladder, and where you get out of the bed every morning. 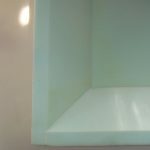 Our foam baths may be a little dearer than our competitors, but ours are made to be much more durable using denser foam than industry standards. Our premium Dreamaster 2500GC still hold their shape after 20 years. That is unheard of in the waterbed industry, but we are so confident in our product and we know they last a lifetime. Mattresses and heaters are available as separate components. They can be easily replaced without ever having to buy a complete new bed. Between $100 to $250 for a new mattress, compares in price very favourably with ‘good quality’ conventional innerspring, latex and foam beds. Our service department can take the pain out of moving a waterbed and will move them for you. Waterbeds are much easier to move around than many people believe. There are many who do it themselves. The waterbed will completely dismantle and can be easily transported from one site to another. Today, waterbed mattresses are manufactured to the highest standards. Our top mattress, the Dreamlover Ovation 555 mattress comes with a five year manufacturer’s warranty. This includes leaks that originate from any seams or corners. Never! A waterbed is a pressure-less system. If you sit on the mattress and open the filler cap – no water will come out. A waterbed is not like an air mattress which is under constant pressure. 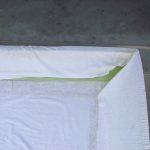 Even in the unlikely event that the mattress is punctured, the water would only slowly be absorbed into the surrounding safety liner and bedding. The chances are very remote. The technology producing today’s waterbeds is sophisticated. The seam welds are very strong. 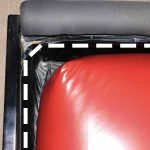 All mattresses are surrounded by a safety liner as a precaution so that any spillage would automatically be held by the liner and not fall on the floor. If a repair kit is needed, it only takes a few minutes to apply. Any really sharp object can be used to puncture the water mattress but it is not as easy as you might imagine. Unless you wilfully set out to damage your waterbed you are not likely to puncture it. The lambswool cover helps protect the mattress from accidents, and is also strong enough that your dogs and cats can sleep on the bed too. If you let them of course. For all but the most severe punctures, the easy way is to use a vinyl repair kit. Once in place it will restore the mattress to its full lifetime use with no detrimental effect. 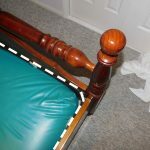 In many cases a simple repair can be completed without having to empty the bed. Waterbed heaters are required to pass the tests prescribed in the Australian Standards before they can be sold on the Australian market. All waterbeds are heated by a heater and is placed underneath the mattress (and liner) to warm the water. This pad is controlled by a thermostat, which maintains the temperature of the water. Because you can adjust the setting on the thermostat, it is easy to have the temperature just right: “Warm in Winter” and “Cool in Summer”. The heater which must be the model recommended by the manufacturer for the size of the bed, must always be installed on a smooth hard surface, free from sharp objects, cracks or joins, and if placed on a foam bath, the heater needs to be placed on a heater pad board. If not, the heater may be damaged. Usually the heater is placed across the bed in the knee area. It is most important that the surface of the heating pad be in close contact with the water containing mattress and that no folds or wrinkles are present to affect the transfer of heat to the bed, which should be kept covered at all times to retain the heat produced by the heating unit. Electricity consumption for waterbeds vary according to your climate, season and your desired temperature setting. In colder climates timber frames can use $1.40/week and soft siders can use .50 cents per week. In warmer climates timber frame waterbeds will use minimal power while many clients who have soft siders will turn the heaters off during the peak of summer. Thousands of Australians are out of work each day because of back pain. It affects all adults and can lead to very serious problems. A waterbed can aid in the treatment of backache by enabling the backache sufferer to sleep in a more comfortable and beneficial position. A unique distribution of support for the body assures that all parts of the body are evenly supported, and that the body weight is equally distributed. A waterbed removes pressure from the spine and allows relaxation of the spinal musculature. Doctors have found that the addition of heat speeds up the relaxation process and increases circulation to rejuvenate problem areas. If you live long enough, chances are you will develop some form of arthritis. Most doctors classify arthritis as the nation’s number one crippling disease. Medical studies have shown that the principle of waterbeds – equal distribution of body weight in a controlled volume of water – will benefit most arthritis. The even distribution of the patient’s weight will reduce pressure on the major joints that are inflamed or affected by different forms of arthritis. Heat from waterbeds will aid in proper blood circulation thus enhancing the healing process and reducing pain. The standard mattress will further reduce body heat. Most arthritis suffer the most in early mornings due to several factors: improper sleep supports, immobility and the shutdown of hormones which usually reduce inflammation. Between the ages of 20 and 65 you are likely to spend more than 15 full years in bed. In a 50 year span, you can be expected to fall asleep almost twenty thousand separate times. Despite all the natural laws of sleep, many people find it difficult to get to sleep or stay asleep. In Australia over 2 million people have sleep problems. The steady shift away from manual labor removed much of the natural muscle fatigue that induces sleep. While sleeping on water, many patients showed improvements in ease of falling asleep, stabilising the sleep onset, increasing the total sleep time and reduced night awakenings. Whatever the reason you’re considering sleeping on water, we’re sure you’ll love the comfort. Through the use of a water mattress, a person can prevent the formation of decubitus ulcers. Patients who have already formed ulcers can expect more rapid healing when switched to a water mattress. This healing may be up to three times faster than without the use of a water surface. The principles of flotation have been documented to be especially helpful with the following conditions: Premature infants and newborns, orthopedic problems, paralysis, severe burns, trauma, auto accidents, plastic surgery, general surgery, cardiac rehabilitation, Cystic Fibrosis, Cerebral Palsy and wheelchair patients. Waterbeds have become an essential therapeutic fixture in benefiting many patients with different medical problems.